Promotion is an important aspect of blogging; no-one wants to feel like they're speaking to themselves, great content is meant to be shared and enjoyed by others. Although you need to get your blog out there so that people can find you and read your content, there's definitely some etiquette involved; leaving meaningless comments linking to your blog or spamming your link across social media will do you more harm than good. As a newer blogger you might not have heard of some of these ways to promote your content. Here are my tips on promotion, advertising and gaining followers. Once you have your blog set up, it's so important to add some follow options so that people can subscribe to you and are able to keep up with your content. One of the biggest mistake I see newer bloggers make is to not have any follow options on their blog, without them people will simply click off your page and forget about you. There are a number of follow options you can add to your blog, I recommend displaying as many as possible. 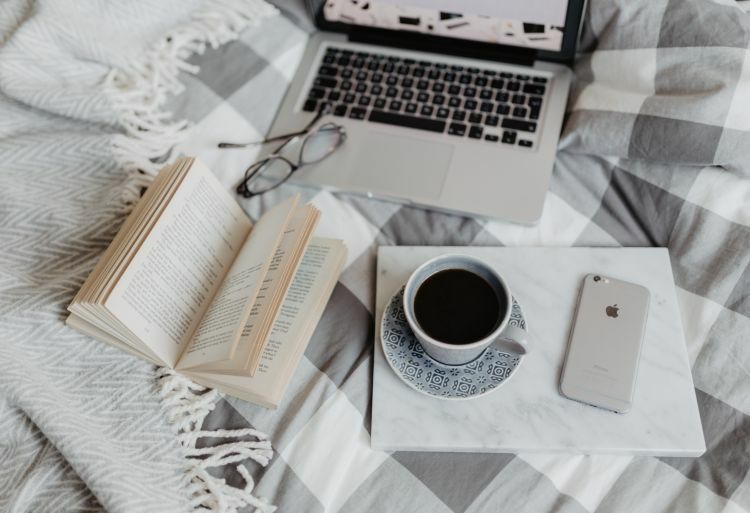 You never know who might want to read your blog and what their preferred platform is, so including as many as possible makes it easier for your readers. Bloglovin is the most popular way for bloggers to follow and be followed. As soon as you've set up your blog, you'll need to sign up for a Bloglovin account and add a follow button to your sidebar (follow these instructions). Your bloglovin account will show you how many people are following you, and will also show the recent blog posts of everyone you've followed. Whether you choose to display the 'Google Plus' followers widget the 'Badge' widget, or make your own, it's worthwhile making sure you have a link to your Google Plus profile. Although this isn't currently the preferred platform for Bloggers to follow each other, it could become more widely used in the future. Some readers might prefer for your published posts to be sent directly to their inbox, the 'subscribe by email' gadget is also available in 'layout'. This is a useful option for people who want to read your blog but don't have a blog themselves, as they're unlikely to have a Bloglovin/ Google Plus account. Twitter is a strange and confusing place in the beginning, if you already have a personal Twitter account you have the advantage of knowing how it works- if not it can take some getting used to. Twitter is a useful tool as it allows you to promote your posts to likeminded people and other bloggers, enabling you to get your content out to a good number of people and those who are likely to be interested in what you have to say. Definitely utilise Twitter as it's a great way to get your content out there, but be careful not to overdo it. Tweeting twenty or so links to your blog a day is just going to annoy people. There are so many benefits to filling in your Twitter profile and uploading a picture of yourself. There are a lot of spam/ fake accounts on Twitter, and having a picture up and a profile that's been filled out lets people see that you're a person rather than a spammer. They're much more likely to follow you or follow you back. Be sure to include in your bio that you're a blogger and include your blog's link. Hash tags are useful for finding likeminded bloggers, and there are a number of blogging hash tag pages where you can interact with other people. #bbloggers (beauty bloggers) #fbloggers (fashion bloggers) #lbloggers (lifestyle bloggers) #bbtweets (beauty blogger tweets) #fblbloggers (fashion, beauty and lifestyle bloggers). Once your blog is all set up and you have a couple of posts published it's definitely worth sending out a tweet that you're a new blogger and asking if people will check out your blog. Finish the tweet with one or more of the hash tags above depending on what category your blog fits into. Although people tweet using the above hash tags at all times throughout the week to promote their posts, at certain times 'blogger chats' are scheduled. I highly recommend joining in with chats when you can, they're a great way to speak to other bloggers in your field. The main beauty chats that take place are on a Sunday and a Wednesday between 8-9pm (UK time), simply go to the #bbloggers page at these times and join in with the chat. A great guide to the blogger's chats including times can be found here. Not just for planning weddings and swooning over hairstyles, Pinterest is also a great way to promote your blog. Create a folder just for your blog- then once you've uploaded your pin and added the description, the important thing is to then go back onto the picture in your Pinterest album and in the bottom right corner is a little pen icon. Click this, and in the 'source' box fill in the link to your blog post. This is what makes your picture clickable, so when people click it it takes them straight to your blog post. Pinterest won't bring you any traffic unless you fill in the 'source info' box with your blog link. I posted a step by step guide for how to promote on Pinterest here. Lots of established bloggers offer relatively inexpensive advertising. This is a good way to initially get your blog out there when you're first starting out, as they will be sharing your blog with their large following. If you're looking to advertise with another blogger, personally I'd recommend going with someone who has at least 3000 blog followers and who posts regularly. Commenting on other blogs is one of the best ways to engage with other bloggers, everyone likes meaningful comments on their posts. It's always worth leaving a link to your blog at the end of a comment and letting people know if you followed, but don't use the comment section simply as a promotional tool for your own blog. Comments like 'great post, come and follow me' will most definitely rub people up the wrong way. A nice comment relating to the content of the post followed with a link to your own is fine though. New bloggers, did you find this useful? Experienced bloggers, how do you promote your content and gain a readership? Hiya, checking out and following from Brightside Beauty Weekend Blog Hop. Helpful tips! It reminds me to get myself a button. I recently made an Google Analytics account! It's so much better than the views of Blogger. Like you said, it counts your own views too, even though you've set the options not to. I am saving this because I need help with making buttons. Thank you! stopping by from Oh So Amelia! Love for you to stop by and return the follow when you can. thanks so much! this is so helpful for a new blogger like myself. I am having trouble getting the reactions to show up in my own posts. I'm running over to Google analytics to sign up for a free account now. These blogging tips are really helpful!! I'm going to have to use this if I decide to put in a button :] thanks so much for taking the time to write everything out! All if this is so so helpful! Thanks for taking the time to write these blogging advice posts in such detail. About to set up my bloglovin' right now! Thank you for sharing this with me! It's such a help for a newbie blogger like me! This was so helpful Stacey, but I did the link within thing, and it works, the links come up at the bottom. But it doesn't show up with a picture, it only comes up with the link. How did you get yours to come up with pictures? I'm so glad I stumbled upon your blog, thank you so much for this insightful post! This is exactly what is on my mind. I'm a fashion blogger, I believe in the content of my posts but building followers has been a slow progress and I've been looking at ways to draw and keep audiences. Every point you made was valid and I found myself going back and forth as i read, checking whether i have carried out all the above on my blog. hiya! love your blog!! will you PLEASEEE do a post on how to add the social networking icons!! everytime i do it they end up too big!! and i dont know to how to customise them to fit my blog theme!! :) PLEASE!